Please join us at Native Hostel for a masterclass where Graham will discuss his creative process, his favorite gear, team building, the art of collaboration and more. Doors open at 5pm for happy hour. 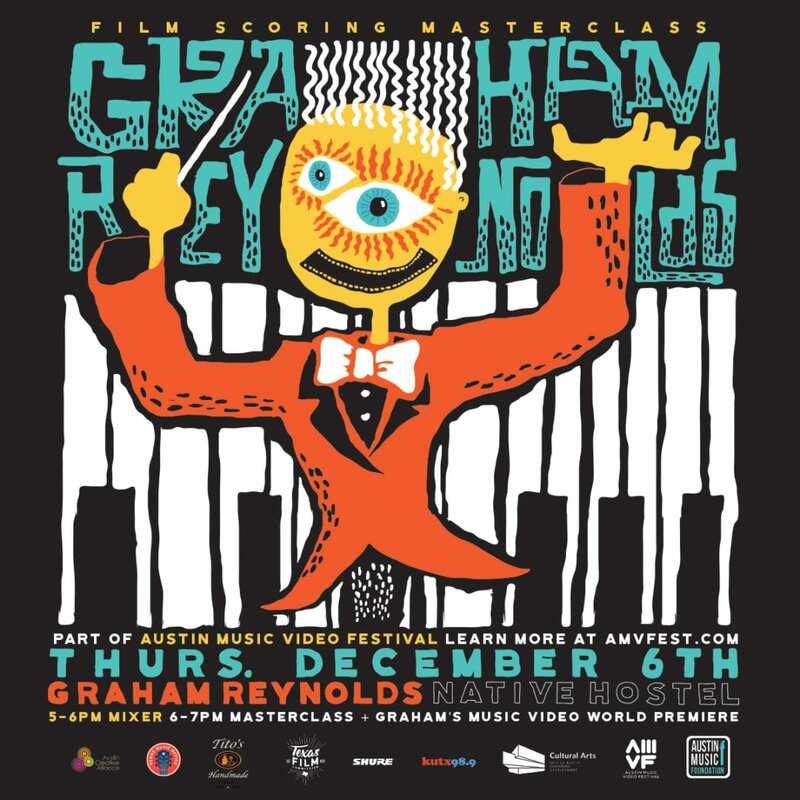 The Masterclass will begin at 6pm, followed by the world premiere of Graham’s new music video. Learn more at amvfest.com. RSVP to reserve your seat! Free & open to the public. This project is supported in part by the Cultural Arts Division of the City of Austin.